Before I jump into the topic of scars, I need to clarify the difference between Macules and Scars. Macules may look like scars, but they are not scars in the sense that a permanent change has occurred. Macules are essentially the final stage of most inflamed acne lesions. They are normally flat, reddish spots that can remain for up to 8 months. But the difference between a Macule and a scar is that a Macule will end up disappearing completely whereas a scar will remain for years or indefinitely. As for scars, this can also vary from person to person. With some individuals, scars may remain for a lifetime without change but with others, their skin will undergo a form of remodeling that will eventually diminish the scar. Another factor that needs to be evaluated is the human element of scarring. People simply have different feelings about acne scars. Those who are distressed about their acne scars are much more likely to actively seek out treatment to moderate or remove the scar than those who are more indifferent about the scars. Let us first gain a better understanding of acne scars by first determining the cause of scars. A scar is a mark left in the skin by the healing of a wound or surgical incision in which the normal functional tissue (skin) is replaced by connective tissue (scar). In the case of acne, the lesion is caused by the body%u2019s inflammatory response to sebum, bacteria and dead cells that are trapped in the plugged sebaceous follicle. When your skin tissue has suffered a lesion of some sorts, your body will attempt to heal the injured site. It does so by increasing the white blood cells in the area along with an array of inflammatory molecules whose function is to repair the damaged tissue and fight infection. In the end, the repair job can be messy, and the site of the lesion is now filled with fibrous scar tissue or eroded tissue. As for the inflammatory molecules and white blood cells, they can remain at the acne lesion for days and even weeks. Take note of the fact that not everyone functions in the same way, and this holds true with our skin as well. Some people are simply more prone to scarring than others. 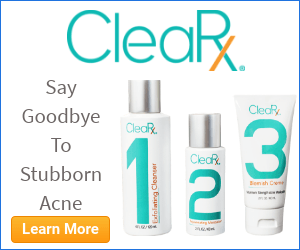 Bear in mind that treating acne and treating acne scars are two completely different things. Treating your acne has nothing to do with treating an acne scar. Acne scars can indeed be treated, but it is important that an acne sufferer bring their acne condition under control first if they still suffer from moderate to severe acne. Once your acne subsides, make an appointment with a dermatologist and discuss the methods (if applicable) of scar treatment(s) he/she recommend you undergo to treat your scars. Keep in mind that there are many methods with which you may treat your scars. These methods vary according to your scar type, size and location, type of skin, and of course, money $$$. All this should be discussed in great detail with your dermatologist. Before undergoing scar treatment, ask yourself the following questions before having your dermatologist undergo the decided procedure(s). : Are you willing to wait and see if the scars will subside on their own with time? Do your acne scars affect you emotionally and socially? Is your scarring substantial enough to warrant scar treatment? Can you afford the treatment or what treatment options can you afford? Keep in mind, the objective of scar treatment is not to necessarily rid you of all indications of scars by completely restoring your skin. It very much depends on the severity of your scars, your skin type, your skins ability to regenerate, etc. Significant improvements can definitely be achieved, but complete restoration is often impossible.